The School of Fine Art, History of Art and Cultural Studies has a number of scholarship opportunities available. Details of fees for PhD study and a guide to our accommodation costs can be found on the Research degrees website. The fund was established in 2013 in memory of Miss Amanda Burton, who took an interest in the University of Leeds and the Audrey and Stanley Burton Scholarships Trust. The purpose of these scholarships is to assist students from the UK/EU to undertake full-time research study in the School of Fine Art, History of Art and Cultural Studies (in the area of Fine Art) at the University of Leeds. The award will cover fees at the University of Leeds standard UK rate and maintenance for up to 3 years. 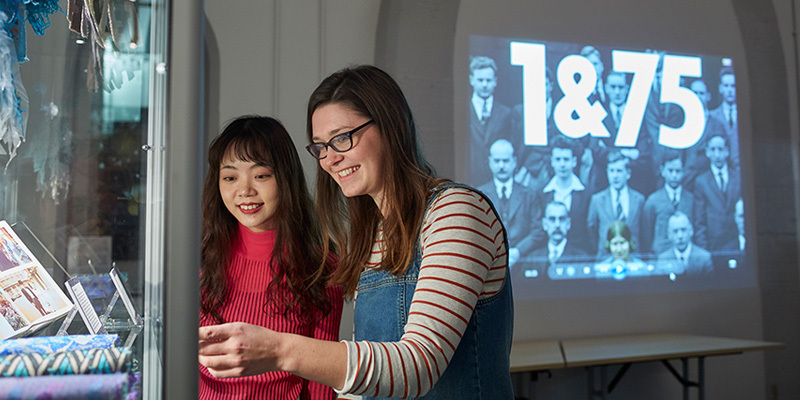 The Faculty of Arts, Humanities and Cultures has a number of scholarships available to support postgraduate researchers starting a PhD in October 2019. As well as proposals in the School's research areas, applications are welcome for funding of interdisciplinary research proposals across multiple Schools within the Faculty. The scholarship award covers PhD tuition fees and provides a maintenance grant. Please note we can only accept applications for scholarships once you have applied for your chosen research degree. Deadline: 17:00, 1 April 2019. Read more about the Scholarship and how to apply. To be considered for a scholarship, you must have completed an application for PhD study and have received an official offer from the University of Leeds, secured in advance of the scholarship deadline. full supervisory team in place but missing documentation. the application will go out to review but there must be a response from the School within two working days. This must include a decision and authorisation from the Director of Postgraduate Research Studies and the approved supervisory team. We also recommend that you contact preferred supervisors before submitting an application and well in advance of scholarship deadlines. This helps the School identify potential scholarship candidates and recommend other funding opportunities that you may be eligible for. Supervisors will also have time to prepare supporting statements that are well informed and tailored to each candidate and funding opportunity. Please note that a scholarship application form will be required for each scholarship. Your references must be submitted using the University of Leeds template, available here. It is the applicant's responsibility to ensure the references are provided within the deadline. Details about funding your PhD, including information on fees and postgraduate doctoral loans, can be found on the Research Degrees website. We advise that you regularly check the Postgraduate Scholarships at Leeds website as opportunities become available at different times across the year. For details and guidance, please contact the Graduate School Administrator. Contact the Postgraduate Research Administrator fineartpgr@leeds.ac.uk.